To give a bit of context to this blog, to explain a little bit more about what I do and to give information to those that want to learn more about the AgEx Venture and EWB, I’ve written this blog post which serves as an introduction to AgEx and our work. What is the AgEx Venture? The AgEx Venture is an initiative supported by Engineers Without Borders (EWB) Canada. AgEx stands for Agricultural Extension and Advisory Services. The AgEx Ventures works within the extension and advisory system in Ghana. What are Agricultural Extension and Advisory Services (EAS)? In short, extension and advisory services (EAS) are the services, information, resources and support provided to farmers. EAS are crucial for enabling and supporting farmers to improve their livelihoods, productivity, profitability and financial and environmental sustainability. EAS are a critical input for agricultural and rural development. My team is working within this sector because agricultural systems are failing across the planet – not meeting their potential with regard to food security or sustainability. While Ghana has immense natural and human capital, the current agricultural and food systems are unable to provide many of its citizens with food security and sustainable, dignified livelihoods. Systemic challenges within the current agricultural extension and advisory system in Ghana reinforce many barriers to achieving a well-functioning agricultural system. AgEx is investing in Ghana’s agricultural extension and advisory services system so that farmers have access to the services, information and resources required to improve livelihoods and food security across the country. For more information on EAS, check out this blog post by an AgEx alumni or this fact sheet by a partner organization. What is the vision and mission of the AgEx Venture? Vision | AgEx envisions an inclusive agricultural system that improves livelihoods, generates food security, and promotes sustainable human development. Mission | AgEx works to support the development of an innovative, coordinated, inclusive, and demand-driven agricultural extension and advisory system in Ghana. How are we working towards our mission? AgEx builds the capacity of Ghana’s Agricultural Colleges to be centers of innovation, to enable greater testing in high-quality, farmer-focused agricultural approaches, technologies and information. AgEx supports the Ghana Forum for Agricultural and Advisory Services and Support (GFAASS) for greater knowledge sharing and coordination among stakeholders. At the Colleges, AgEx is supporting the capacity of Ghana’s agricultural colleges to build students’ knowledge, skills, and attitudes in innovation, creativity, and critical thinking. By facilitating the development of formalized partnerships with stakeholders in the extension system, AgEx is increasing the colleges’ ability to provide learning opportunities in the field and increasing the influence of the colleges within the extension and advisory sector. At the Forum, AgEx is supporting the establishment, impact, and sustainability of a network for extension service providers, which has great potential for knowledge sharing and coordination amongst stakeholders and levels in the system (District, Regional, National, and Pan-African). AgEx is also working to ensure the relevance and impact of the forum for the extension services that farmers receive, through field-level engagement with stakeholders and farmers. Together, these pathways build the capacity of extension agents to develop and adopt innovative approaches to extension, as well as provide an enabling environment for increased knowledge sharing and collaboration across stakeholders in the sector. What are we currently working on? Within the colleges, AgEx is collaborating with college lecturers and staff to pilot approaches that will enable the colleges to become Centres of Innovation. We are currently focusing the pilots at Kwadaso Agricultural College in Kumasi, as we learn more about the pathways to achieving this objective. One of the pilots we have recently worked on with a committee of lecturers changed the paradigm of the yearly on-campus practical attachments for first year students during their vacation months. 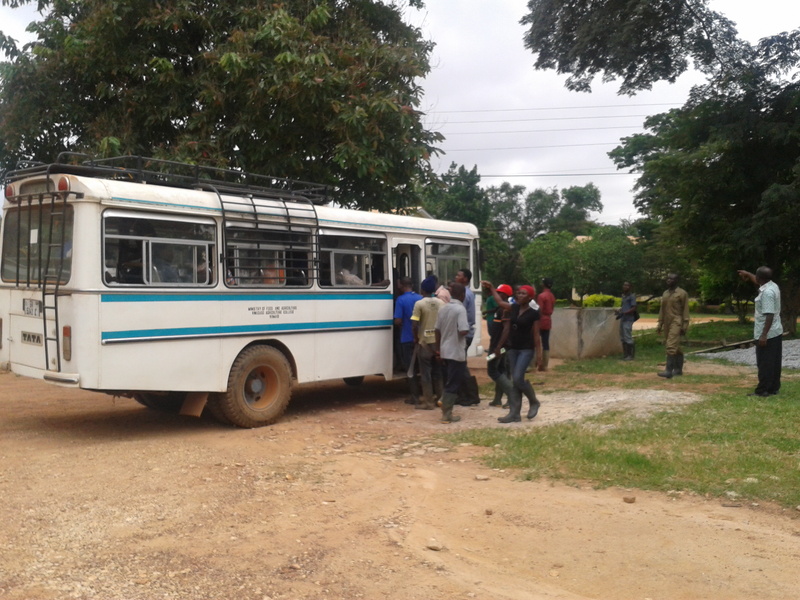 Rather than learning technical agricultural practices simply through experiential lessons on campus, students were sent to communities to live and work with farmers. They performed needs assessments and came back to the campus to research the needs of the farmers they lived with. The farmers were then brought to campus for the students to present their findings and demonstrate the technologies on campus. Getting to students to learn with and from farmers and to gain experiential learning in extension is an exciting shift towards building the knowledge, skills and attitudes of Ghana’s future agriculturalists. Within the Ghana Forum for Agricultural Advisory Support and Services (GFAASS), AgEx is working with a steering committee of committed stakeholders to put in place the foundation for a national level effective and sustainable forum. 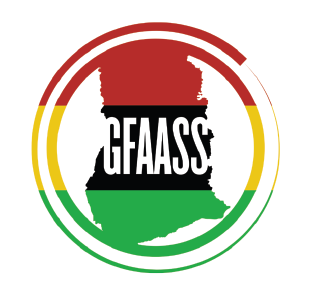 We are helping to facilitate the process for GFAASS to become a legal entity in Ghana and to build its strategic plans. We are working with fora from other African countries to pull lessons learned and best practices from what has already been tried in other contexts. In an exciting addition to this, we have started preliminary research and prototypes into what the forum could look like at the field and district level, exploring how it can be relevant, useful and high impact on the EAS delivered to farmers in Ghana. The forum is at its early stages, but already it is showing high potential for impact on the extension system in Ghana. What is the history of AgEx? AgEx, with the support of EWB, has been working in Ghana since 2004. In the past, our work has focused on public sector extension at the district level in the three northern regions of Ghana. We used to be called Team MoFA within EWB, a name which was changed as we pivoted in 2011 to focusing on the broader extension system and not exclusively on public extension. To learn more about our history, check out this timeline with lessons learned, past initiatives and strategic changes over the last 9 years. Founded in 2000, EWB aims to improve African livelihoods. The EWB network consists of over 30,000 members who run ventures in Africa, promote public awareness of development issues in Canada and advocate for improved decisions by our government and corporations. EWB is currently investing in 16 ventures in Ghana, Uganda, Malawi, Kenya, Liberia, Zambia, Burkina Faso and Canada (including AgEx).